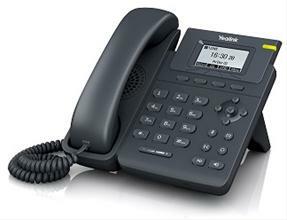 Free Unlimited¹ calls to the UK at ANYTIME with our unique Residential VoIP telephone service. 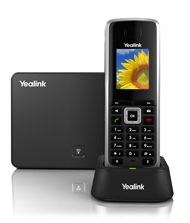 Our new VoIP residential telephone service includes Free Unlimited¹ calls to UK landlines as well as call to 0845, 0870 and 0800 numbers, at anytime, day or night. The service also includes a UK telephone number as well, so your friends and family can call you as if you where still in the UK. You DO NOT need to change from your current Spanish Internet provider to get this great offer for Expat's in Spain calling the UK from Spain. With our service you use the internet to bypass the traditional Spanish telephone networks and dramatically cut the cost of UK and International phone calls using one of our Internet phones or your smartphone. We’ll give you a free Outbound calling account so you can call some friends and family to see how well our service works. To take our VoIP service for a spin you will need to download Zoiper 3, a free VoIP softphone, you will also need and a headset with a microphone, you can also use your smartphone as well. Step 3 - We will send you login details for your VoIP account. What's in the pack one? What's in the pack Two? The team at Simple Telecoms want all of our customers to get the best service at the lowest possible price. So we have a clear Fair Usage Policy ("FUP") that is designed to prevent fraud and abuse of our service/s by a small number of users. Accounts will be automatically closed if we see unusual calling patterns inconsistent with normal, individual subscription use, for example, regular calls of short duration or calls to multiple numbers in a short period of time or if we suspect the service is being used for Business, telemarketing or call centre operations, your account will be closed. The service cannot share your account between users whether via a PBX, call centre, computer or any other means. We reserve the right to alter, amend or vary the destinations available under this offer. We all like to get value for money, and there's nothing worse than then finding calls cheaper elsewhere, so with our call price guarantee you’re covered. Of course, the lower call price you find needs to be like for like - the same price, billing time, rate plan, and include all taxes and fees - but it really is that simple. We cannot be held responsible for any bills or costs that you incur with your current internet provider for data used when making calls. Since VoIP works via your Internet connection, your VoIP call quality will be totally dependent upon the quality of your Internet connection. The good news is that most high speed Internet connections in Spain today are excellent for VoIP, including most of the WiFi operators. But, if your internet connection goes down for any reason (technical problems, poor quality, power failure, etc), so does your phone line -- you lose dial tone and the ability to call out. But, you do NOT miss incoming calls because with our VoIP service you can configure a 'rollover number' (like your mobile phone) for when your VoIP phone can not reached. Also be aware that emergency services are not be provided via VoIP when using your device outside the UK. You must provide (and keep current if you move) the physical address of where you are using your VoIP device when in the UK.